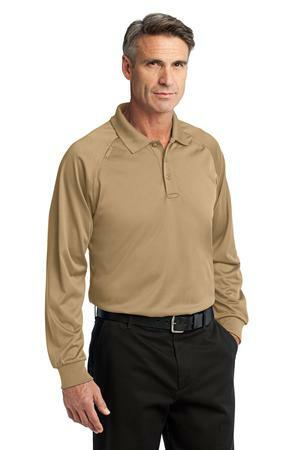 The CornerStone – Select Long Sleeve Snag-Proof Tactical Polo Style CS410LS is available in Adult Sizes: XS-4XL. Thes shirts have strategically placed mic clips and dual pen pockets, our tactical polos are designed for event staff, security and law enforcement. Built for performance, these snag-proof, moisture-wicking, odor-fighting shirts will keep you sharp and professional-looking on or off the job.